Please enter LAST name and Numerical date only for Guestbook. 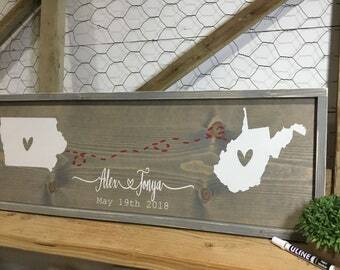 Your guest will LOVE leaving their special messages on our custom unique handmade wood wedding guestbook. These city skylines are a perfect way to remember where you met or fell in love or married. Adding more soon.....don’t see your city or country? Whether you have a BIG wedding or a small one...guest can sign just the top or top and bottom with the included pen. The cityscapes are cut in wood and layered on top of the framed pine to give a textured 3D effect. 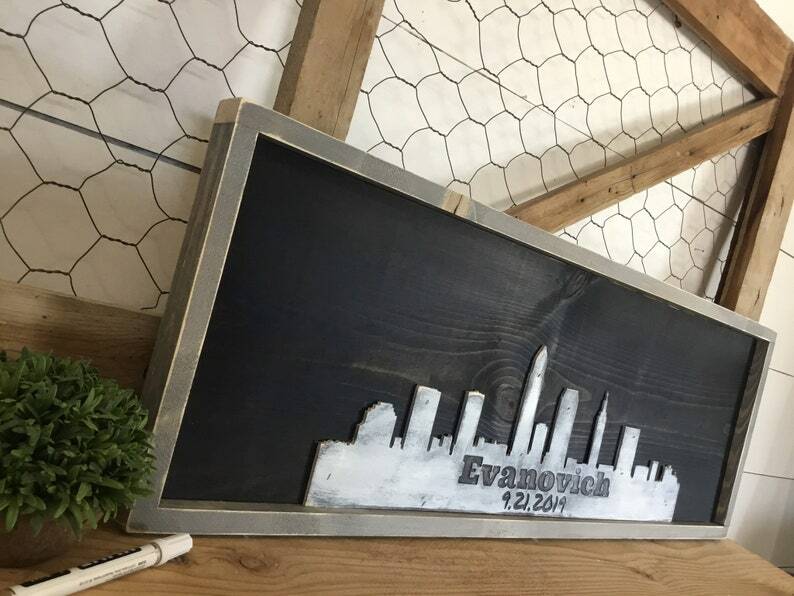 This listing is for what’s pictured, an ebony background stain on a pine board framed a grey stain and city skyline in distressed white/grey. Keep in mind this will depend on how large each guest write...for smaller weddings guest tend to write a longer message and bigger weddings guest write smaller and usually just a signature. They are hand painted and any knots, cracks, staples or imperfections are a natural part of the uniqueness of raw wood and charm of handmade.